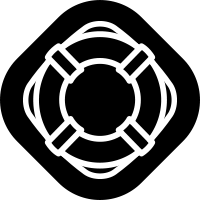 Anyone can join the audio in a BigBlueButton meeting if they have a source device connected. 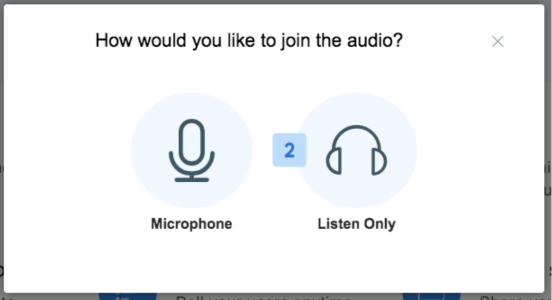 When you first join a session, you will see the Audio Choice giving you two options to join the audio with a mic or listen only. If you are in the session and do not have an indicator next to your emoticon in the users list you are not connected to the audio, try refreshing the browser to engage the audio chooser. If you want others to hear you, select Microphone . When you select microphone, your browser will prompt you for permission to access your microphone, be sure to select Allow. Next you will enter into a private echo test. This echo test will let you quickly check that your microphone is working. 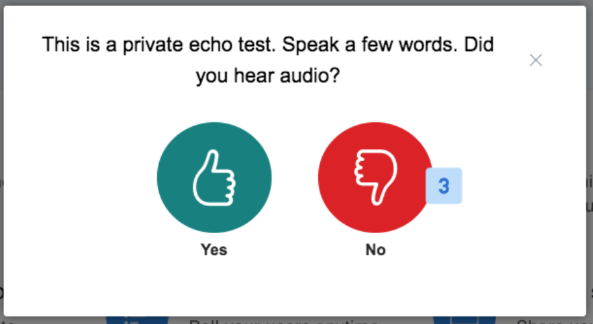 After you see the Echo Test dialog, speak a few words into your microphone. You should hear an echo of your words, this is how you will sound to others in the session. If you hear yourself, select Yes . A pop up message will appear to indicate that you are sharing your audio. If you do not hear yourself, select No . The Change Audio Settings dialog will appear giving you options to change your audio settings. Try selecting a different Microphone  and Speaker  from the available devices in the drop down lists. Use Play Sound  to test the speakers. Once done, select Retry  to re-enter the echo test again to confirm your microphone is now transmitting. Refresh the client (select the refresh button in your browser -- you don’t need to login again, the client will automatically reload). When you have successfully connected a mic your emoticon in the users list will display a mic icon; muted or unmuted. 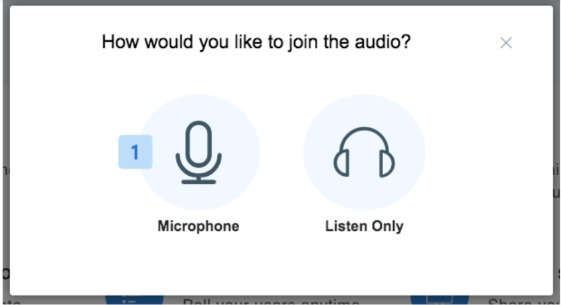 If you do not intend to talk in the session, or if you are in an area that has significant background noise, you can also choose to join listen only mode. Select Listen Only  to join the session as listen only. If you do not want to join the audio at all, select the ‘x’ in the upper right-hand corner of the Audio Chooser dialog. When you have successfully connected to listen only mode your emoticon in the users list will display a headset icon.